A small part of the MiG 29 line up at the Wittstock air show on 14 April 1994. It is headed by MiG 29 Fulcrum-A "Blue 28" (c/n 18463) of 33IAP. 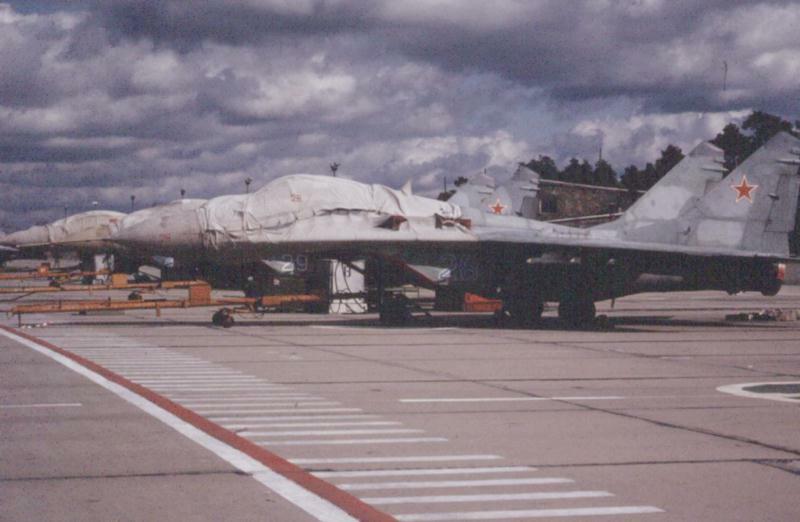 The large covers over the cockpit are typical of parked Russian aircraft.